Since many years, the IKA-KART2000 is the important international trade fair for the Karting industry, but the 25th IKA-KART2000, on 28th and 29th January 2017, brings even more suppliers from around the world to Offenbach am Main. The whole world karting offers will be shown in seven exhibition halls, plus Event Center, where conferences and training courses are accessible to every visitor. There are many new things in Offenbach, such as Evo Chassis or racing engines. Not only the establishes brands are represented her, also many of Germany or European market entrants, coming von Asia or USA. Manufacturers form over 30 countries show their products at the 25.IKA-KART2000. The Karting market in 2017 will be reorganised in Offenbach! The exhibition program includes the full range of Karting, racing and rental karting, even everything around the world Karting. Visit the exhibition and be up to date! This is the 25th IKA-KART2000 on 28th and 29th Januar 2017 in Offenbach. 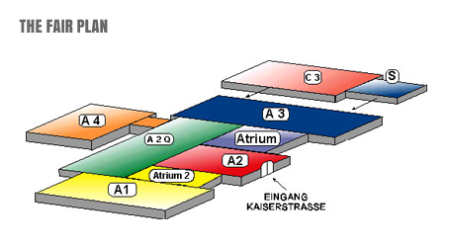 The exhibition halls, right at the river Main and near Frankfurt City Skyline. And that pleases the visitors: The large parking areas near the river Main are just a stone’s throw away from the main entrance. Everything about the show can be found here: www.kartmesse.de – the whole world of Karting! Plan your route to Offenbach!